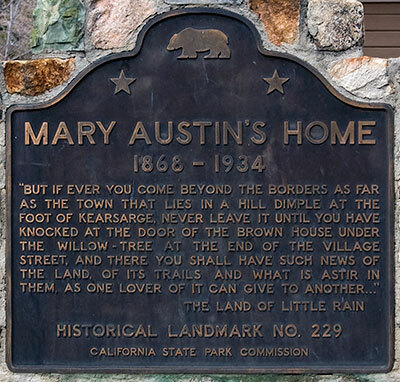 After the people of Owens Valley lost the battle to prevent Los Angeles from diverting the Owens River to support the orange groves and suburbs of the Southland, Stafford moved to Death Valley and Mary moved to Carmel where her friends included Jack London, Ambrose Bierce, and George Sterling. 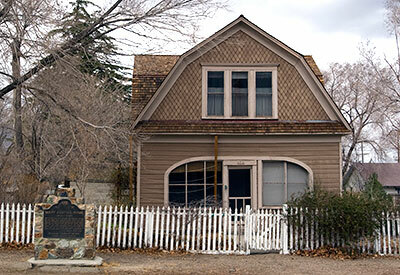 She died in Santa Fe, New Mexico, in 1934. Her best known work is The Land of Little Rain, a collection of essays about the Southwest. A 1950 edition was illustrated with photographs by Ansel Adams.